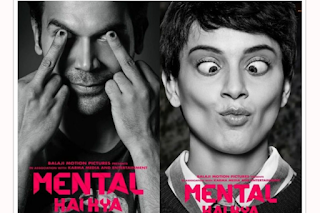 After being lauded for their performance in Queen which hit the theatres in 2014, actors Kangana Ranaut and Rajkummar Rao have teamed up again for the film Mental Hai Kya. As per the reports, both Rajkummar and Kangana finished shooting in Mumbai last month followed by their London schedule. If the latest reports are to be believed, the stars have finished the film's shoot.